For someone born in my time it is just hard to fathom how segregated the country was just a few years ago. 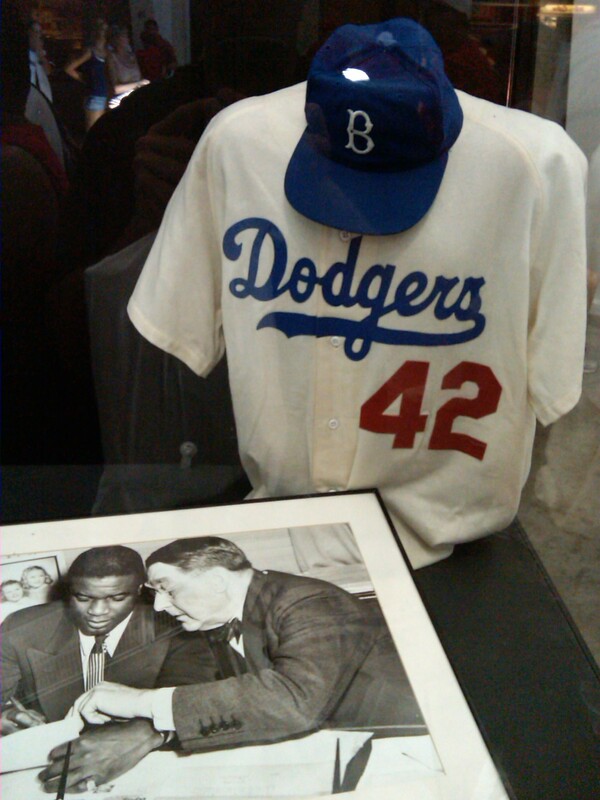 In fact 64 years ago today Jackie Robinson broke the color barrier in baseball. I just have a lot of trouble believing how he was even treated. A couple of years ago I read a great book called Opening Day about how Jackie broke into the majors. It is unbelievable some of the things that he put was forced to contend with just to play baseball. We still aren’t where we need to be 64 years later, but the gap is closing. Every year Major League Baseball does a great job remembering Jackie. This year they started a site called iam42.com to have anyone who wants honor Jackie. This is just my little way of honoring what Jackie did for the country and baseball. In 1997 Major League Baseball retired Jackie’s number 42 across the board. Nobody will every where that number again for the season after Mariano Rivera retires. I really wanted to go to the Sox game tonight to see the players honor Jackie, but the weather forced me to reconsider. Maybe next season. For now I put together some photos showing how I have seen Jackie honored across baseball.